Recently I posted about the turf sofa by Ready Made. 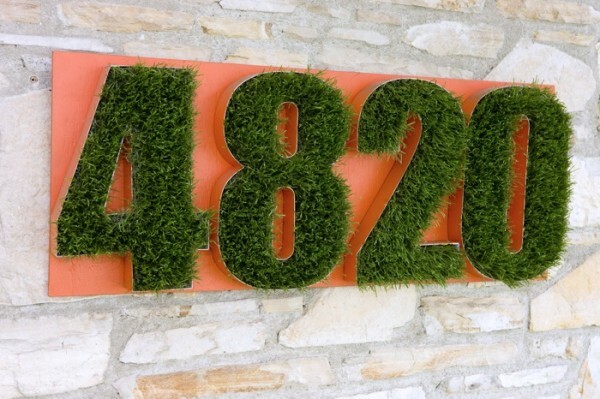 Now I have come across astro turf house numbers from Firmly Planted. Would you utilize these for a project? I’m thinking that I could and it would look great on a store front or an updated rancher.